This image shows the interior of a fresh impact crater (approximately 300 meters (328 yards) in diameter) in the Mare Smythii Constellation Region of Interest. 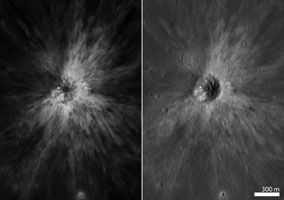 In the high-sun image above, it is hard to recognise topographic features because there are no shadows. 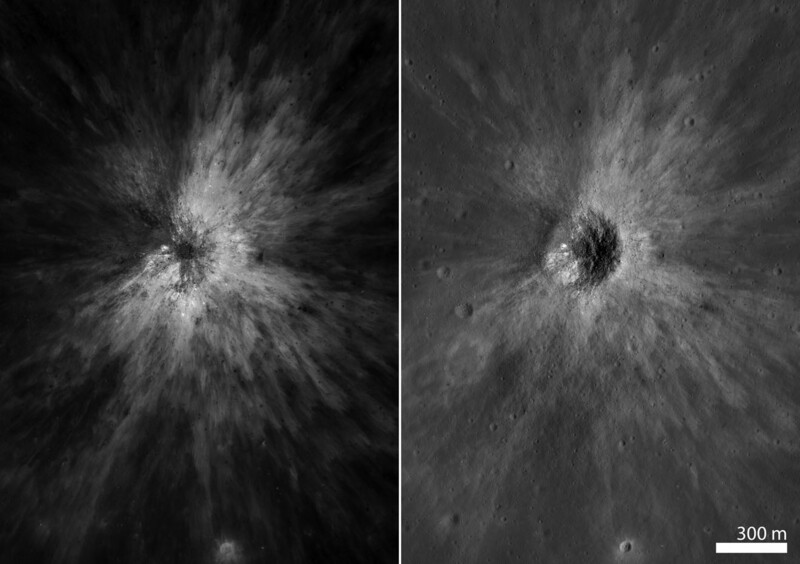 The wider view in Figure 1, paired with a lower-sun image of the same crater on the right, gives a sharper view of small scale features such as boulders. Portion of image M126371530LE, scene width is 530 meters (580 yards).